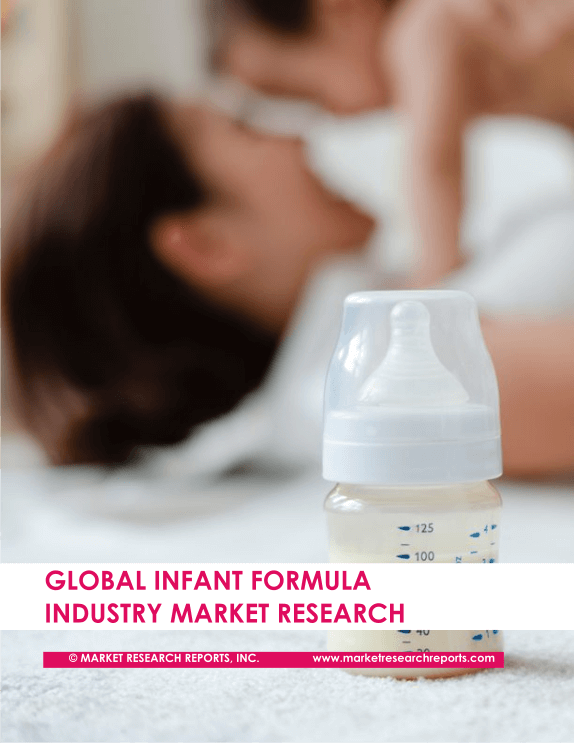 World’s Top 10 Infant Formula Manufacturers | Market Research Reports® Inc. The baby/infant formula market is largely dominated by three players Nestle, Danone and Reckitt Benckiser (Mead Johnson). These three companies together control more than 45% of global market share. Breastfeeding is strongly recommended by doctors and physicians; and many mothers incline to breastfeed their infants, but for mothers who are unable to breastfeed, or who choose not to do, for their infant - infant formula/ cow milk infant formula is necessary source of nutrition. According to U.S. FDA, An estimated 1 million infants in the United States are fed formula from birth, and by the time they are three months old, about 2.7 million rely on formula for at least part of their nutrition. Powder—the least expensive of the infant formulas. It must be mixed with water before feeding. Liquid concentrate—must be mixed with an equal amount of water. Ready-to-feed—the most expensive form of formula that requires no mixing. Infant formula is in the state of excess capacity. Price of cow milk infant formula changed quickly during past five years. It shows that global average price of cow milk infant formula dropped from 9835 USD/MT in 2011 to 9561 USD/MT in 2015. The worldwide market for Cow Milk Infant Formula is expected to grow at a CAGR of roughly 0.2% over the next five years, will reach 26.1 billion USD in 2024, from 25.8 billion USD in 2019, according to a infant formula market report. Out of all geographies China holds the world’s largest infant nutrition market which is around 30%. China officially allowed every couple to have two children few years ago, however the figure for 2018 undercuts the reading of 17.86 million in 2016 and 17.23 million in 2017, according to data from the National Bureau of Statistics. New births in China in 2018 fell to 15.23 million, but it is by and large, still a big market for infant formula companies. Reckitt Benckiser (RB) acquired, infant formula manufacturer Mead Johnson in 2017, for USD 17.9bn. The acquisition landed RB into an unfamiliar product territory and putting it in direct competition with Nestlé and Danone, major players in infant nutrition and baby food segment. Reckitt's sales had gone down in the third quarter of 2018 after manufacturing problems ascended at a Dutch factory making infant formula. Which left company paralyzed to meet demand in that quarter. The Dutch factory was also responsible for supply to key European and Chinese market and the disruption drained £70m off revenue from infant formula segment. RB’s total revenue for FY 2018 was £12.6 bn. Health business unit contributes £7.76 bn, and company earns £2.88 bn from Child nutrition segment, which covers infant formula.